This was the shocking moment a jealous wife stripped her husband's alleged mistress naked before smothering her body in fish sauce and chilli powder. 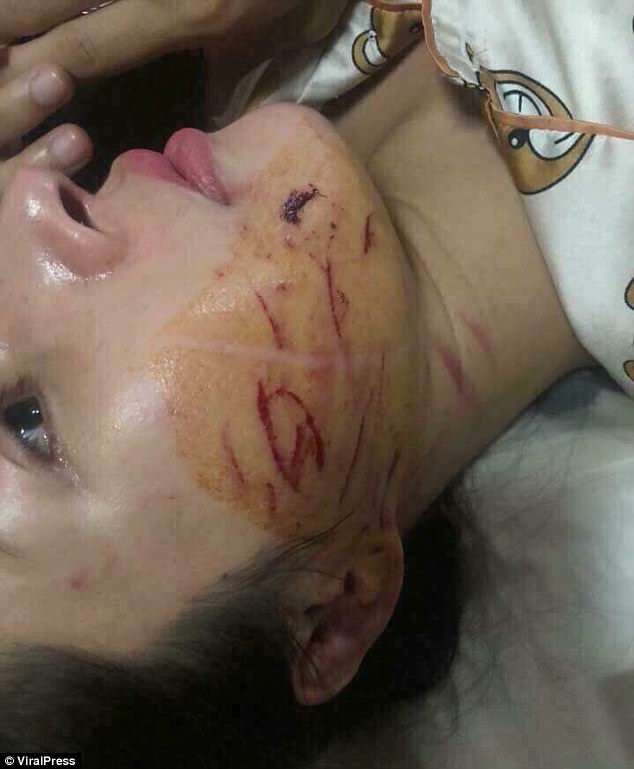 Giang Jun, 30, was working at her beauty spa in Thanh Hoa, Vietnam, on Tuesday at 10pm when the furious wife stormed in and accused her of having an affair with her husband. 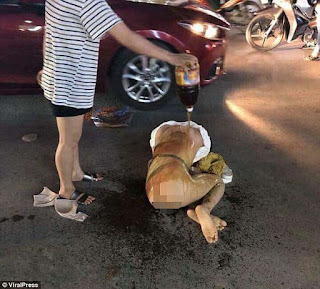 The married woman was said to have dragged Ms Jun by her hair onto the road outside before tearing off her clothes and dousing her in fish sauce. According to witness David Pam, she then smothered extra hot chilli powder over Ms Jun's naked body. 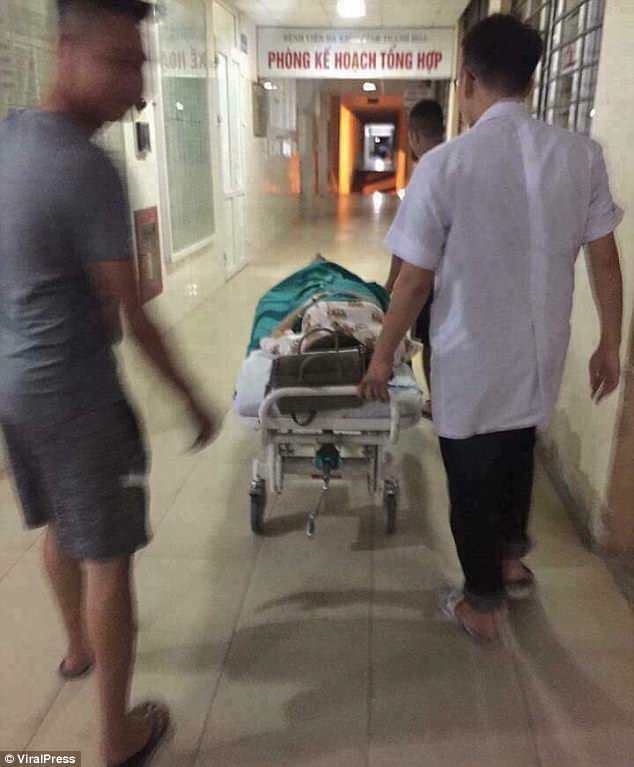 The humiliating act is said to be a disturbing copycat trend emerging in Vietnam when wives confront their husband's mistresses. The incident was photographed by Mr Pam and police are now investigating. Mr Pam said: 'There was lots of cursing at the woman. The wife said she had been married for ten years and that the beauty spa owner had destroyed her marriage.